I went running yesterday, a standard long run just to metabolize the fact that I was one of the four that won the chance to take part of the Dynafit Mountopia Project “3 Peaks -- 3 Days” and climb the three highest peaks in each of Austria, South Tyrol (Italy) and Germany -- Grossglockner, Ortler and Zugspitze -- in speed style, over the course of three days! After that initial amazing feeling where everything seemed just perfect I was shadowed by something else..... fear! Am I good enough for this!? Will I manage to be up to the task? Is this something for me? I was running and..... well, I understood immediately that my Mountopia did not start with this challenge. I have challenged my own world years ago, all my fears, all the "mountains" - the ups and downs while my body transformed. Like I wrote almost three years ago in one of my first articles on my web site - this was my evolution! A lifestyle evolution! Why I did this? Why did I apply for the Mountopia Challenge? Well, maybe the same questions may be applied for the very beginning of this adventure of mine: "Why did I start to run in the first place!?" Was it nice? - NO! Did I enjoy running? - NO way! Was I fast? - You must be joaking! Still, there was something pushing me, my whole body and soul. I needed to do this! This was me in June 2013. 100kg and life was... not that easy! Well. The thing that moved me into tears was a picture that my daughter made on the beach during the summer 2013. When I saw that image I told her: "That dude is not your dad! No way!". And I was not referring there on just the aesthetic part of the "issue". I felt really bad back there. Well, I felt much better than in 2008 when we moved from Italy to Sweden. I then weighed 127kg. Being overweight, having a tough form of asthma, two disc hernias and living with pain made me a very depressive person, a social catastrophe. That was not good at all! From that day to the 2013 - to the moment of my daughter taking that photo- I managed to better a little bit my fitness. 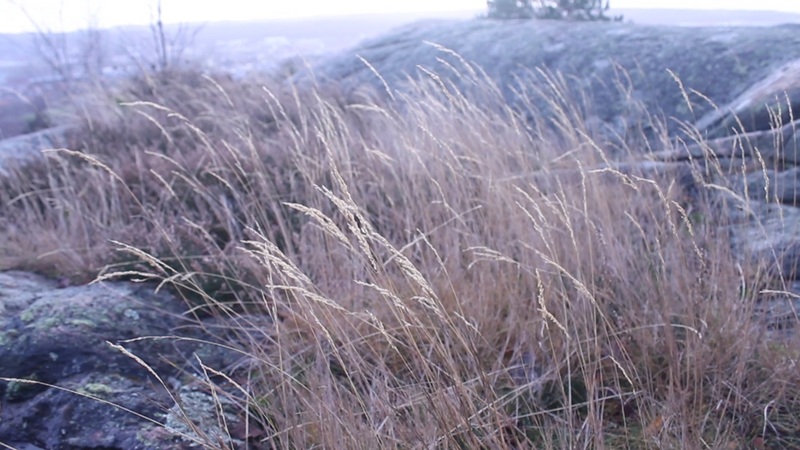 We moved to Sweden and living in contact with nature, being forced to work outside fixing things helped me a lot. I felt better.... but not good! On top of all this..... I was smoking! Yeah, the top of the human stupidity - smoke and taking asthma medicine! Great! That was not only stupid, that was suicidal! That image was just a trigger that I needed! I started running, I got my first injuries.... I cured those, I got other problems.... I changes shoes.... I was lucky to have other fellow runners helping me in my training and I was "hiding" quite well the fact that I was dying tired, without breath and that every muscle was killing me! But I continued! I had a dream..... to be a better person, a better husband and father! I started to run races too! That was fun! I started to check my statistics on Strava and compare my efforts with others. I wanted to be a better athlete too! I worked better, I had a better concentration and memory.... a lot seemed easier now! I was able to do much more with a smile! A lunch run with my colleague Piotr. He is a great photographer so he took some shots while I was running in the nearby area. Feel free to check more images made by him by clicking HERE. After that one just a year and a half after started running and training in the first place I applied for my first ultra! Yeah, you know - a race longer than a marathon! Many of my friends found it quite interesting that I never even tried to run a marathon race and that I wanted this 110km race with lots of elevation gain after just one half marathon race and the 34km winter trail race! Yes, I was there. I was scared like hell. But at the same time a race like that is like the life. You can always quit and be a looser. You may DNF after an injury, sickness or energy issues. There is a lot happening during a long race and... I was NOT prepared at all for that challenge! But I did it! I managed to finish the race! And guess what.... I wanted to race my first 100 miler right there the next year! I feel all the benefits of fighting my fears and I'm enormously grateful that I felt life in my body once again! And all this after passing my 40's! Life is amazing! It was the 21th May 2018 and my buddy Branislav and I were chatting on Facebook and he pasted like from nowhere a link! Mountopia! I checked the web site and I felt in love with the challenge right away! I loved the idea and the concept! Simply lovely! So I applied directly! At the beginning I trained as usual, we tried to get those top 10 by gaining as many votes as possible using our Facebook and Instagram. It went pretty well for us! We made it! For the first time in my life as someone who trains actively I felt another instinct in me. It was just "boiling"! I was dreaming of myself running the trails. I wanted to run as much as possible... I wanted this! But not just for the winning. That part is not that important. For the first time in my life I felt that I had it, that I could compete with others no matter what. I felt good, great! Me and Branislav were pushing one another in a positive way. We had that feeling and we never ran together during these days. We decided without speaking that it was better to allow the other to adjust the runs according to the moment. We had a trail race the 30th June 2018. A 46k race with a marvelous tough course. Not impossible, but quite tough and speedy. I knew that Branislav and I were ready to attack the course. Still I decided to race reserved without the risk to compromise the Mountopia challenge. After the first loop I was tired and mad on me because I went too slow! So I went out for the last loop stronger. It felt great. I had no issues.... just a great flow! I could push a little whenever I wanted to. Branislav was ahead. Not much but I needed to be sure to finish that race with no issues. I had issues with my left foot. A year running with pain. A year where I learned a lot about me, my body and nutrition. I wanted that race to be a strong one but not a killer one! After the race I felt really good. I was really confident and the day after the race I went out for a 20k run after a 3h drive! I had an amazing energy level! The day after two runs combined 30k! The day after Branislav had issues with the Strava upload and I felt like lost. I knew that he "had me" but I lost the distance. So I went out for a lunch run and after work for a long run that ended in 40k! 50k in one day!!! I never did such a thing! That was amazing! I was so happy with my body! No issues, nothing. I was so pleased with this 45yr old machine I had the opportunity to use! Amazing! The day after I decided to rest! I wanted to run but I forced myself to rest and use some common sense and some discipline too! That was a good decision. The day after I felt completely restored and I felt my body move with ease during a shorter and faster 10k run. The day after I made once again a lunch run and another evening run combined 30km. It felt really great! I managed to push it really well those last 5km of the long run! What a flow! Great! 15k the day after just to relax a bit. More than 35k on Saturday felt really great. I mean, I ran 21k in the morning, than we drove 600km by car and once we got back home I went out for another run. This time a shorter 15k one in the woods just to relax my eyes a bit! Crazy but true!!! Yes, I'm not a superhuman! I felt all those miles in my legs alright! The last day of Mountopia I went out for a long run. I had completely lost the calculations. I was like first on the list, but Branislav was there just a few km from or even in front of me. Even Christoph had the distance and he was quite close. That was the last day of the challenge and I wanted to finish that with "style". I wanted to enjoy the whole run and have fun! And I did it! I ran 37k! Went back home and dedicated the rest of the day to my family and almost forgot to upload the last run! That was the end. I felt like "done".... a little bit tired after all but very please with my result! Pretty crazy that I managed to keep that amount of running without issues! I really loved the Mountopia challenge! Now I know that I have much more to give, that I'm stronger that I ever believed to be! Amazing indeed! I managed to run 451.86 in 3 weeks of the challenge in 45:53:40 and the last week of the challenge was unforgettable for me.... I ran more than 200km!!! Crazy but true! Yes, it took a lot of dedication in order to complete this challenge. A lot of dedication is the key to everything in life. You have to love what you do in order to do it well with a smile. Having the support of my lovely wife and my family makes things much easier in life. My best support is my family and the ones that trust the most in me are my kids! It takes just a look in their eyes to understand that my limit is.... well, is there a limit!?? I needed a Mountopia years ago and I started running. Each and every run was like a climbing a mountain! It was tough but life is tough and lovely things occur if you do your best with a positive mindset! I needed another Mountopia to understand that I'm much stronger than I thought to be so I got this one! I needed another challenge in life in order to see things from another prospective I guess. And I loved it! My motivation during this challenge was the need to understand more about myself I guess. What am I build of? What if.... so I pushed it a little bit more each and every day. I loved the effort and the resting too. I loved every moment of the intensity of the challenge. To combine work, family and such a challenge was not easy. But it can be done. You can train like a pro even with a ordinary lifestyle. Just listen to your body, respect the machine and feed it with love and care! You are going to be just fine! Now I know it. I will be one of the four athletes that will climb the Großglockner in Austria, Ortler in Italy and Zugspitze in Germany during a 3 day guided tour! The “3 Peaks in 3 Days”! 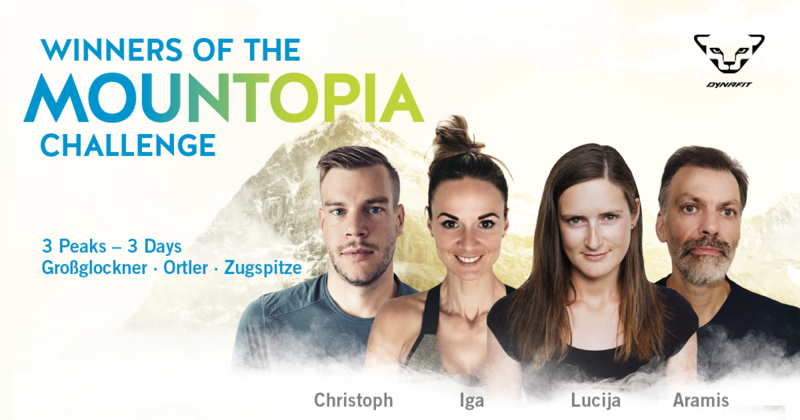 I will climb the three highest peaks in each of Austria, South Tyrol (Italy) and Germany - Grossglockner, Ortler and Zugspitze - in speed style, over the course of three days! I will not do great or stressy changes but I will combine more core training, swimming, cycling and climbing. Of course, I have to adjust and fit everything into a demanding family schedule - I love that as well! Without the patience and support of my lovely wife, my daughter and son and their understanding of my passion I could never achieved this performance! Thank you!!! My choices in life have defined me and my future choices will define my future. When it comes to nutrition I made a huge change when I was only 14 in 1998 in contradiction to each and every law and standard back there. I decided that I wanted to be a vegetarian! And I did that! Why my family accepted such a decision from a 14yr old boy!?? Simple! I was literally dying!!! My body was collapsing. I was having issues processing food and one day we went to this camping place n Slovenia near the Triglav National Park where nobody ate meat! Just vegan food was served for an entire week!!! At the beginning I thought that I would die and that every person there was a little bit crazy. After five days I felt stronger than ever and the last two days of that experience I loved everybody there! When we returned back home I decided that I would never eat meat in my life - no more! I was completely vegan those first 4 months despite the fact that I could not eat any legumes due to a extreme allergy! So I was a vegetarian, I ate fish too and tried to eat the one fished and not "produced"! My philosophy to food is a little bit different from the modern society. I hate wasting food and I respect what I eat. We are privileged with the choices of food. Not many have that freedom. My allergy and my health issues made me a very "awake" person when it comes to food. I love cooking and food is like art to me. There was a time when I was thinking on opening my own restaurant.... who knows! From 2013, from that running beginnings I decided that I wanted to push me and my body to another level of craziness. I have stopped eating fish too! At the beginning as an experiment. I wanted to see if my recover will change. It didn't.... and I was a little bit disappointed! But, I continued even during the summer and my vacation in Croatia visiting my fish eating family. I had no issues eating other products while everybody was looking at me like I was crazy or from another planet! It's months after I cleaned my body that I started noticing changes. I could run a whole week without rest days in between and I was less tired. My recover was much faster and I felt better. My metabolism was way faster and I had no issues with food no more. On the contrary, I started eating beans! Yeah, after more than 30 years I could eat peas with no issues at all. First just small amount but today I eat peas without fear! I'm testing other legumes but some like soya are going to take more time. I hope that someday I will enjoy a nice "Spaghetti e fagioli"! When it comes to such a tough challenge like climbing during three days I'm quite confident of the experience I got during my worst nightmare while fighting the UTMB last year! That one was a memorable race in every way! I felt everything in that race. From joy to rage, from ecstasy to disappointment, from sadness and being beaten to the point when I found hidden energy resources and the flow after 130km! I was out there 43h, two days and night with sleep deprivation, food issues due to lack of intelligence. I felt the consequences when the mind fails, and what happens after a lovely smile and a worm soup. I felt the salt of my tears while walking down the mountain in -10°C understanding that a DNF was acceptable..... and much more! There are no words that can describe all those feelings and the mind chaos during those 43h! Would I do that race again!? YES!!! And that is the one and only answer I need before this! I'm ready to climb 3 Peaks in 3 Days! I'm a person without limits and boundaries. I do not define me, I let others or my actions define me. I have no defined nationality but I'm born in Europe. Yes, I'm born in Rijeka (Croatia) in 1973 in a multi-ethnic family in a multi-ethnic city in a "coctail-country". I know where my family comes from and they all met in Rijeka to create me? How great that is!? All those cultures, languages.... a "family melting pot"! I needed a place where I could be accepted not by definitions or stereotypes.... I wanted to be me! Moving to Sweden back in 2008 was maybe the best decision in my life! A country where you can "be"! As stated before I'm not "normal". I will never be and I don't want to be "normal"! What is "normal" anyway!?? I hope that I answered some of the questions some of you guys asked me on Facebook, Instagram and by e-mail. Feel free to contact me and I'd be happy to reply!